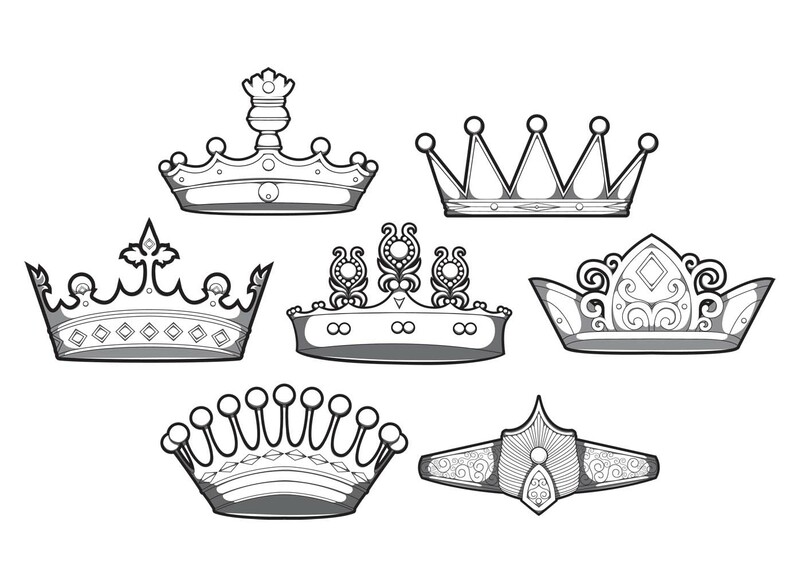 Set of 7 vector monochrome crowns for your cards, backgrounds, postcards, illustrations and other designs. File format: .eps, .ai, .cdr for CorelDraw Adobe Illustrator, Photoshop or other vector software. 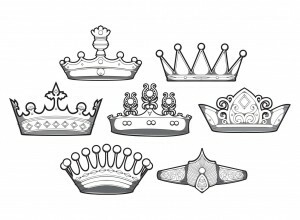 Tags: cartoon, crown, design, monochrome, vector.